Headlines from Kinshasa have over the past weeks have spoken about a controversial electoral law and a brutal crackdown on demonstrations. The more appropriate headline, perhaps, should have been: The battle for Kabila's succession has begun. That would have better contextualized the drama that played out on the streets and in the marbled halls of parliament, and would have explained why students and opposition members were willing to face live bullets over arcane details in an electoral law. So what have we learned after this week of turmoil? 1. Kabila's ruling coalition is fractured. While the government's police––and even presidential guards, not usually used for crowd control––had few qualms about cracking down on protesters, members of Kabila's ruling coalition did not hesitate to criticize a law that could have prolonged the president's rule by several years. During the debate over the law in the national assembly, MPs belonging to Kabila's coalition such as Christophe Lutundula (you can hear him here at 4:20) criticized the most controversial aspect of the law: linking national elections to a census that could take years to finish. When the national assembly decided to pass the law anyway on Tuesday, one of the main parties in Kabila's coalition, the MSR, abstained from the vote. Other parties, including Planning Minister Olivier Kamitatu's ARC, also voiced opposition. When the law went back to the national assembly, its president Aubin Minaku had to short-circuit debate there on Sunday evening and––to the surprise of some of his colleagues––almost unilaterally impose a compromise to prevent the fractious debate from getting out of hand. It is clear that when it comes to extremely sensitive matter of prolonging Kabila's stay in power, there is little consensus among his allies. As I argued in a previous blog post––other analysts appear to concur––this fracturing of the ruling coalition is probably the most momentous consequence of the past week. 2. The opposition won this battle, but the war is far from won. The final compromise law removed any the contentious Article 8 altogether. This means that the elections are no longer linked to "updated demographic information" (i.e. the census). However, by removing Article 8, the president of the national assembly also took out language inserted by the senate explicitly saying that elections have to take place within a constitutional timeframe. There are other problems that remain with the law. In at least two other places, it seems that elections are still linked to a census. For example, Article 145 says that the electoral commission (CENI) will decide on the distribution of seats in the various assemblies "taking into account demographic trends and the identification of the population." That sounds very much like CENI will decide on the number of seats based on a census, not on the electoral roll as in previous elections. In any case, the CENI will have to submit their proposed distribution of seats to parliament (probably in March), which is likely to cause more controversy. In any case, if the purpose of this law was initially to create delays in the electoral process, so as to prolong Kabila's stay in power, there are many other, possibly less controversial ways of doing just that. The Congolese government has an arsenal of initiatives and processes that could delay presidential elections, including the extremely complex and costly local elections, and the découpage of the country (the creation of 26 provinces out of the current 11). The focus of protest is likely to shift now to the electoral commission. Today, opposition parties met to call for Malu-Malu, the election commissioner, to publish a complete electoral calendar, a demand that the European Union and the United States have also recently made. The idea is to force the CENI to admit that it will be close to impossible to carry out local elections without postponing presidential elections past 2016. 3. Kabila's succession will be decided by an interplay of struggles among elites, popular protest, and international interference. As other rulers have shown, the international community has little say (and little appetite to exert leverage) when it comes to shredding constitutional term limits, provided the ruling elite is relatively united. In the Congo, however, the ruling elite is divided and popular opinion appears to be firmly against an extension of Kabila's mandate. 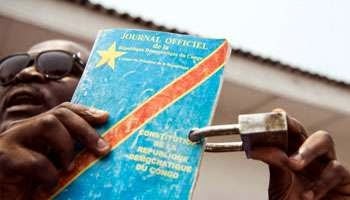 It will be difficult for Kabila to eke out more than a few unconstitutional years out of this context. Will Kabila try to crack down on dissenters among his own ranks, to prevent similar embarrassing shows of weakness in the future? Will the opposition be able to galvanize street pressure around the boring matter of an electoral calendar? Will they be able to mobilize protests around non-events: the incremental delays that are likely to harry the electoral process? Will the diplomatic community fund local elections once an electoral calendar is published? What will the stance of key power brokers in the region be, in particular the Angolan and South Africa governments, who have substantial influence in Kinshasa? Will Kabila's ally continue to break ranks with the president––especially the powerful governor of Katanga Moise Katumbi, who has had one foot in the opposition ever since he made a speech critical of Kabila in December? Correction: A previous version of this post incorrectly translated the word "gbokoso" used by Kengo wa Dondo. It means problem or challenge.